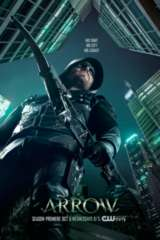 After Talia al Ghul revealed that Adrian Chase is Prometheus, Oliver Queen couldn't take down the Star City district attorney because he kidnapped Susan Williams. Once Team Arrow tracked down her whereabouts -- thanks to Felicity's Helix connection -- and Oliver freed her, Talia helped Prometheus capture Oliver and put him in a cell. Oliver was physically and psychologically tortured, including having his Bratva tatoo torched and witnessing Evelyn get her neck snapped. But, as promised, Prometheus let Oliver go once the heroic vigilante confessed that he likes killing people. In the video above, check out a trailer for next Wednesday's "Disbanded" episode. J.J. Makaro directed the episode written by Rebecca Bellotto. “Disbanded” episode of Arrow will air Wednesday, March 29 at 8 p.m. ET/PT.